Some invoices contain multiple tax rates. If the 'Tax summary' is printed in a separate box on the invoice, Datamolino tries to capture it. This can give you one line of data for each tax rate. 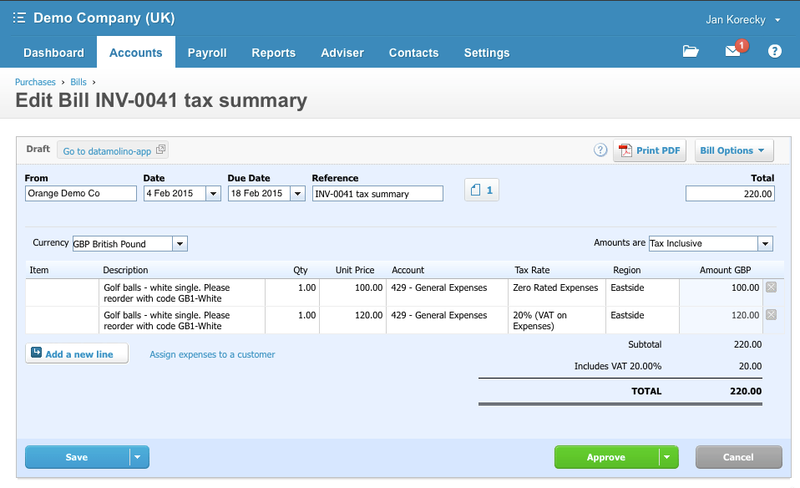 You can turn this feature on by clicking "Tax Summary" option in the invoice detail and see if we have captured it. You can also manually add a tax line by clicking the "Add Tax Line" (or remove a tax line by clicking the grey "minus" button). Please note, that by default we export the TOTALs and let Xero calculate the tax amount for each tax line based on the "tax code" that you have selected (the other fields help you with the calculations).